Sentences like these, painting Germany in the early 1900s in the darkest of colors, appear throughout and are frequently punctuated by the oddest, yet somehow most appropriate phrases and images: “the frowst of the laws” above, for example, and elsewhere, iron government-issue beds “rear out from the whitewashed walls like so many tumid penises” and the narrator’s headmaster grunts “like some animal that rootles around in the earth.” What’s even better is that in these nightmare sentences, Michael Hofmann’s translation astounds. Youth reads naturally, retaining the strangeness and beauty of Koeppen’s language without being awkward. Where I did not enjoy Youth as much, however, was in its characterizations. Even after my second reading of the work, I still have only a faint impression of what the narrator (Koeppen) is like, or what his mother, another central figure, is like either. The descriptions of them stick to the surface—the narrator is a rebellious and avid reader of Dostoevsky, his mother a worn-down worker who’s disappointed her family time and again. Other characters come and go, and they are described even more superficially, almost as prototypes of the period. In this aspect, Youth differs so starkly from Thomas Bernhard’s autobiographical writings that it is worth a mention. In Bernhard’s Die Ursache (available in English translation in Gathering Evidence), the Austrian author portrays Salzburg, the miserable town of his youth, with as much care as Koeppen uses to portray Rosental, but Bernhard extends this care to his honest evocation of himself and his family at the time, and even to minor, memorable characters like his violin teacher. If there is anything that’s missing—and, I think, needed—in Koeppen’s Youth, it is such a focus on characters and their personalities. 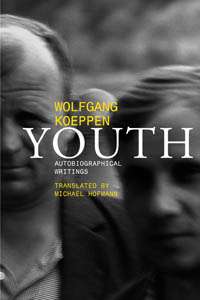 Even so, Youth is a fascinating read that surprises and thrills, and those interested in contemporary German literature have much to look forward to from it and from Koeppen’s language in particular. Eva Richter, blog editor. 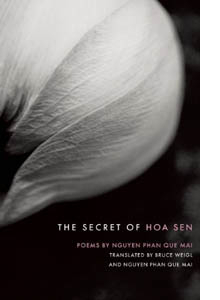 What I enjoyed most about the collection is how the history of the Vietnamese people is mapped via vegetation, food, artisans’ work songs, lullabies, and folk poetry, thus keeping the oral tradition alive in the printed form. 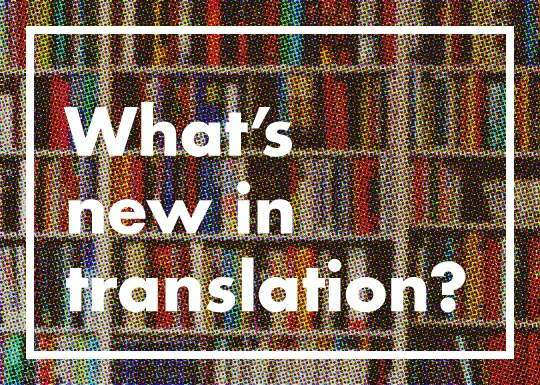 I also appreciate the fact that so much of the Vietnamese vocabulary is preserved in the translated versions because it gives the reader a very tangible linguistic experience of the culture. My only concern with the collection is that it could have been a sharper one; there are similarly themed and similarly worded poems that could have been cut down on. Sohini Basak, English social media manager. Still recovering from the attack in Afghanistan that killed several of her fellow soldiers and put her in a hospital for six months, Manuela Paris is returning to a hero’s welcome in her home town of Ladispoli. Her well-meaning family is unsure how to handle her PTSD—her screams in the middle of the night and her panic episodes triggered by loud noises—but they’ve also never been comfortable with the challenge her soldiering life presents to proper femininity. It was almost easier to have her far away at war. Lost amid people who don’t understand her, Manuela is also racked by survivor’s guilt and alienated from herself. But by slowly coming to terms with her family, and by pursuing an exciting romance with a mysterious newcomer to Ladispoli, Manuela starts to reclaim her own story. This is the premise of Melania G. Mazzucco’s Limbo, the second of Mazzucco’s novels skilfully translated from Italian to English by Virginia Jewiss. I found the story of Manuela’s recovery compelling, rich in the crosscurrents of hope, fear, and memory that really do make recuperation from trauma so difficult. Less strong is the parallel story of Manuela’s experiences in Afghanistan. 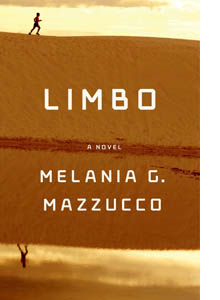 Told in the first person, Manuela’s accounts of a female soldier’s life are based on the author’s own travels, which is a blessing and a curse: Limbo is full of interesting information, but Manuela’s voice too often sounds like it was taken straight from a page of research notes. These Afghanistan chapters also don’t add much to the plot since we already know that they must end in the attack that put Manuela in the hospital and the care of the psychiatrist who gave her this journalling exercise. There are many themes at work in Limbo (too many, perhaps), but all of them gather in the idea of the double life, the yoking together of two contradictory identities. Not wanting to give too much away, I’ll point to the obvious example: the conflict between the commonly accepted models of the good woman and the good soldier. Manuela’s fellow soldiers start calling her Mulan when she cuts her hair short, referencing the Disney animated film in which a young woman pretends to be a man so that she can serve in her father’s place in the army. Though Manuela doesn’t pretend to be a man, one gathers from the association that her male counterparts think of her as playing a male role. Yet by renouncing this gender norm she attains a friendship with her fellow soldiers deeper than any she’s ever known. In Italy, especially in the eyes of her sister and mother, she’s an unattractive girl who can’t find a man. But in Afghanistan, Manuela is a soldier among soldiers, equals in shared purpose and hardship. I admire Mazzucco for asking not just how someone can return from the worst of situations, but how one can stand to return from the best. Tim Ellison, intern.